Can all plastics be recycled? Which ones go in Cuyahoga County's recycling? All empty plastic bottles or jugs can be placed in your curbside recycling. 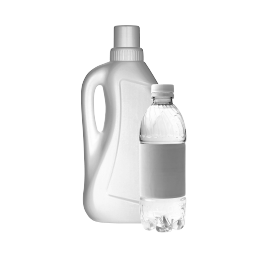 This includes items like water and soda bottles, shampoo bottles, milk, water and juice jugs, laundry detergent jugs and bleach bottles. Bottles and jugs should be emptied and rinsed. Replace the cap and put in your curbside recycling. If it is not shaped like a bottle or jug, with an opening or a neck that's more narrow than the body, place it in the regular trash. The numbers on plastic containers are resin codes used by the plastics industry to identify the type of chemicals used to make the container. The codes do not always mean that the item is recyclable, so we no longer look at the numbers on plastics to determine if it goes in curbside recycling. The shape of the container determines if it belongs in curbside recycling. Only recycle items shaped like bottles and jugs. If it has a neck (with an opening or a neck that's more narrow than the body), it can be placed in recycling. 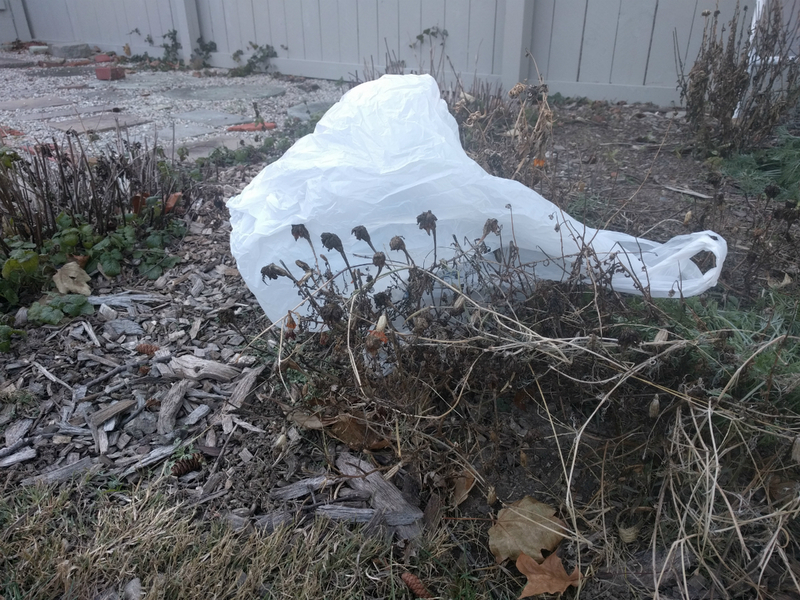 What happens if I place the wrong plastics in my curbside recycling? Can I just throw in any plastic that I want and let someone else figure it out? No. If there is too much of the wrong materials (contamination) in the curbside recycling mix, there is a chance that the recycling plant will choose to put everything, even the good recycling, in the regular trash. See more about contamination and wish-cycling and why you should care about proper recycling. NO plastic bags and netted produce bags. Bags wrap around the gears, wheels, and machinery at the recycling plant which clogs up the separation process and eventually shuts down the plant. Think of it like an item getting caught in the beater brush of your household vacuum. See more about plastic bags. NO plastic coffee pods, single-use cups, plates or utensils. See more about plastic cups. NO yogurt cups, tubs or berry and produce containers. NO flower pots. Empty plastic flower pots, packs and flats should be reused or placed in the trash for disposal. See more about flower pots. NO takeout containers, Styrofoam packaging, Styrofoam cups and Styrofoam food containers. This plastic has been expanded with air and is very fragile. It breaks apart into tiny pieces during the sorting process. See more about Styrofoam. NO hangers, durable plastic or toys. NO cat litter containers and 5-gallon buckets. These items are too large to be included. Consider reuse before placing them in the trash. NO empty motor oil and antifreeze jugs. These containers may have residue of the hazardous materials they held and should be placed in the trash, not recycling, for proper disposal. Businesses can recycle industrial plastics via local specialized companies. See a list in our Business Recycling Directory.